Ok. I am here to share some testing with this system. 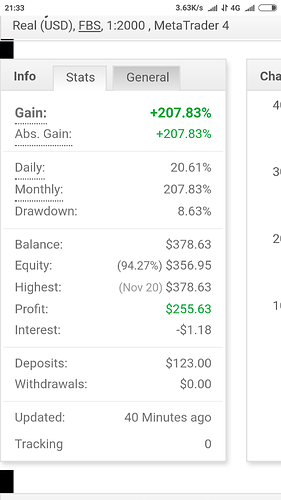 I use my broker bonus account $123 that free to use it for 7 day. 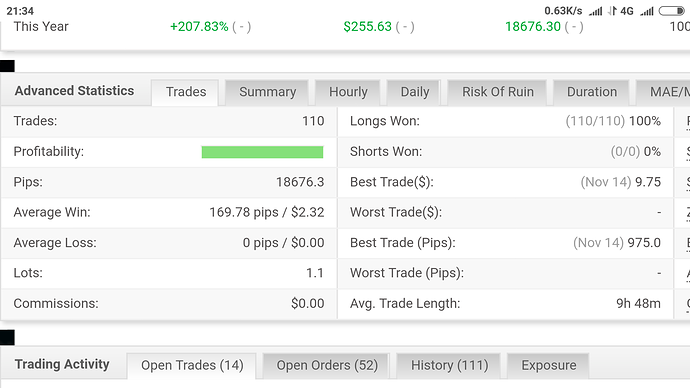 i started at 14 Nov - 20 Nov. Only 5 day trading because saturday and sunday forex market are closed. First i want to say thank to rrram2 for sharing this system for free. its very cool and kind. here are the result. I have been following your system with interest and admiration. You have said that drawdown is good. Could you explain why you think so please. I get forex like no one in the world. haha. I’ve been checking you, it’s interesting that you understood the inhale and exhale of trading. Keep rrrrrr on! HEH 100% winners you cant do that! LOLZ! Oh well maybe you can! actually you can if you think you can! I guess this is something you thought and believed you could do! Yeah. Thanks… now i can focus to my daily job and save some money. maybe need 6 month to save enough capital for live trading. Impossible became i’m possible. rrram2 thank you for sharing your system and thoughts. I am not entirely sure that I fully understand so could I summarise how i think you trade and perhaps you could correct me. Determine the trend of a pair using D,W & M time frames. 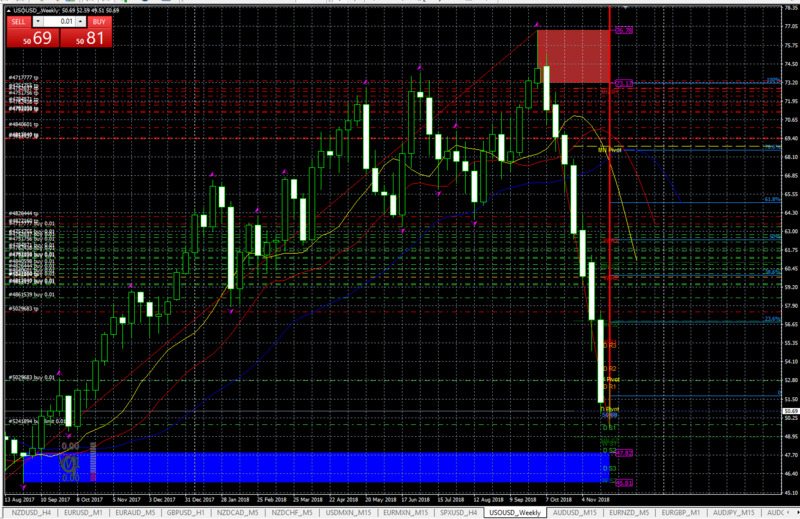 Wait for a pull-back on D time frame and begin to place stop orders about 50 pips apart. Keep all of these orders in place and when price returns to the long term trend they will be triggered. So if the long-term trend was down then as the price pulled back you would begin to place sell stop orders. If the long term trend was up then as the price pulled back you would place buy stop orders. Yea, and we’re stuck with 30:1 in the UK… The ESMA isn’t even finished yet with it’s continuous regulations. Who are you telling, literally every time I talk to some trader friends they all have this leverage of 100:1 / 200:1. I don’t think I’d ever use leverage of 2000/1 but 100:1 sounds doable it would’ve made my returns look much better . When are they fixing to be done with updating its regulations? Dude we are getting duped leverage wise… It’s just hard for me to park my dollars elsewhere. If I could really find a broker I trusted and obviously that is willing to take U.S clients I’d like to give it a try. Well, that’s maximum leverage available as apposed to actual leverage used. It would have a bigger impact on your required margin leaving with more funds available to potentially put to work. 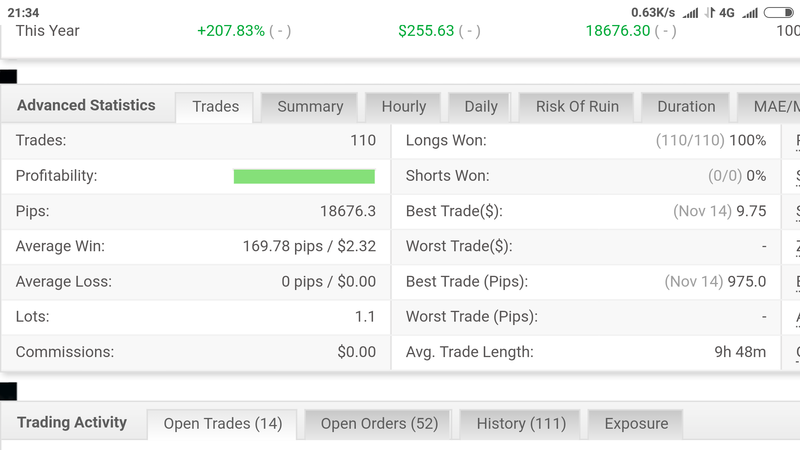 I don’t see 30:1 as that bad, most of my trades use less than 6:1 actual anyway. No I definitely don’t mind it but I usually mess with 1,000 unit lots and 10,000 at max so I don’t even usually play with standard lots. Though I’d love to backtest some ideas with an account with that type of leverage. Yes I know that’s referring to maximum leverage what I was saying is they have so much room left over to play with. For example, if you truly implement risk management and risk 1-2% per trade you can do wonders playing with leverage if you have a more “concrete” strategy. I’m trying to find reliable brokers with 100:1 leverage, again this is for me to test some ideas/strategies. I think the most I’ve used of my 50:1 leverage is 10:1 so far.